Professor of Photonics, Professor Azizur Rahman, and Professor S Asokan of the Indian Institute of Science, Bangalore, are Principal Investigators on the quest to create innovative low-cost optical sensor platforms for water quality monitoring. 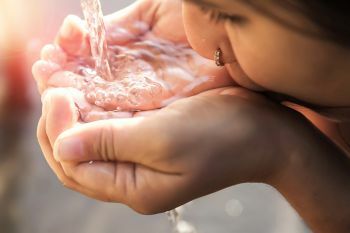 Thanks to a combined £500k research grant, City’s Professor of Photonics, Professor Azizur Rahman and the Indian Institute of Science, Bangalore’s Professor S Asokan, are a step closer to creating inexpensive optical sensor platforms for water quality monitoring in India. Their project is titled, ‘Innovative low-cost optical sensor platforms for water quality monitoring’, and is the successful outcome of the India-UK Water Quality Programme call for proposals funded by India's Department of Science & Technology (DST), the Natural Environment Research Council (NERC) and the Engineering & Physical Sciences Research Council (EPSRC). Supported by the Newton-Bhabha Fund, the India-UK Water Quality Programme aims to provide policymakers, regulators, business and local communities with information and solutions that will help them secure the provision of clean water, rejuvenate rivers and restore ecosystems. The programme supports novel research to improve understanding of the sources, transport and fate of pollutants, and determine the risks they pose to both people and the environment. Professors Rahman and Asokan will be developing frugal and compact multi-channel optical sensors for innovative and cost-effective multiple species monitoring to detect protein, peptides, cytokine, from bacterial and viral pathogens and chemical residues for in-situ and real-time for drinking and waste water monitoring. They envisage a low-cost, accurate, highly advanced, light-weight, and compact sensor platform based on coated-etched grating technologies (Fibre Bragg Gratings (FBGs), Long Period gratings (LPGs), nano-fibres and plasmonic evanescent sensing) using specially synthesized tailored species-specific coatings on these waveguides for improved in-situ, real-time water quality monitoring – aiding the monitoring of parameters through different sensors multiplexed along a single optical fibre network. The researchers will be working alongside key stakeholders, principally the Bangalore Water Supply and Sewerage Board – ensuring both industry relevance and meeting consumer demand – who have agreed to test and evaluate the systems being developed. The success of our application bid builds on many years of collaboration with major institutions in India and we are delighted to be partners with the prestigious Indian Institute of Science in Bangalore to undertake research which directly tackles a key problem for India’s citizens. 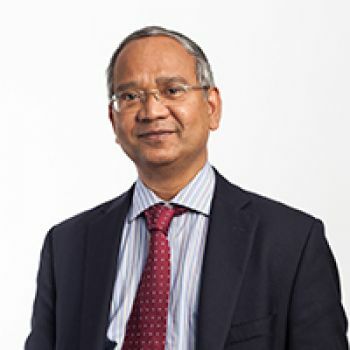 In 2017 Professor Rahman was shortlisted for the prestigious 2017 Newton Prize Award.